Waterproof fabric, nautical vibes and a contemporary cut - the Mackson Jacket is built for coastal comfort. 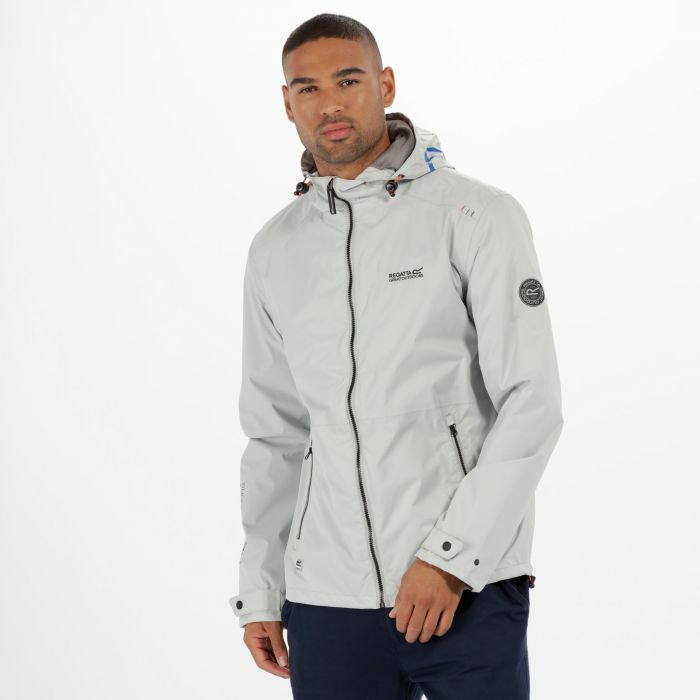 Made from hardwearing waterproof/breathable ISOTEX 5,000 ripstop fabric with a DWR (Durable Water Repellent) finish and sealed seams to protect against the elements. The hooded zip-through has a solid colour outer with N53 printed in nautical block letters on the hood and back. Reinforcing stitch details on the shoulder seams increase durability. Lined with soft-touch fabric With our Regatta outdoors rubber badge on the sleeve.